Nintoku-tenno-ryo (the Nintoku Mausoleum) in Sakai, Osaka Prefecture, is part of the Mozu-Furuichi group of ancient burial sites known as kofun, which the government has recently put forward for World Heritage status. he government’s decision in late July to nominate a group of 49 ancient burial sites in southern Osaka Prefecture for UNESCO World Heritage status has raised local hopes for a major boost in international prestige and tourism appeal. There are seven giant keyhole-shaped kofun in the group, with five having a double or triple moat. 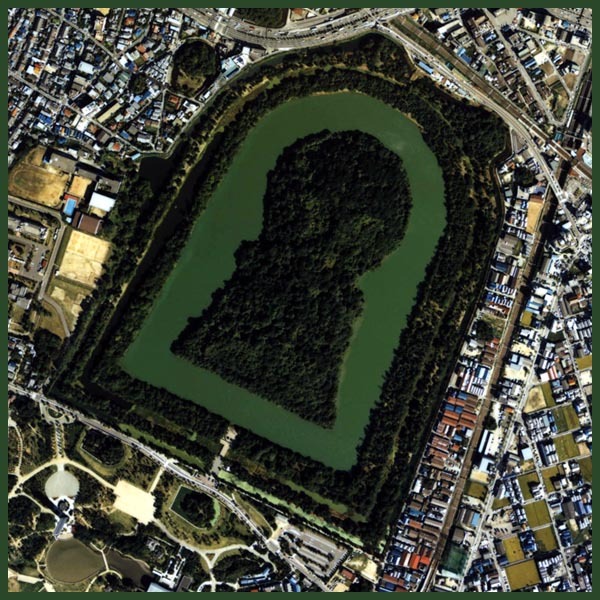 They are thought to have been built by ancient sovereigns who were later known as tenno (emperors), the official Mozu-Furuichi Kofun Group website reads, adding there was plenty of evidence to suggest that these seven kofun are the tombs of ancient Japanese sovereigns. is an era in the history of Japan from around 250 to 538. It follows the Yayoi period. The word kofun is Japanese for the type of burial mounds dating from this era. The Kofun and the subsequent Asuka periods are sometimes referred to collectively as the Yamato period. 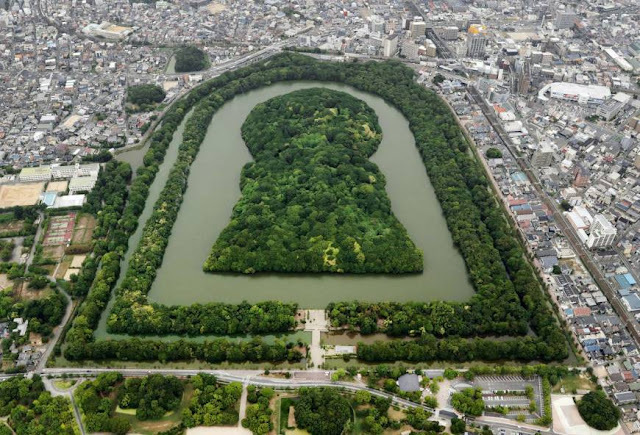 The Kofun period is the oldest era of recorded history in Japan; as the chronology of its historical sources tends to be very distorted, studies of this period require deliberate criticism and the aid of archaeology. The Kofun period is divided from the Asuka period by its cultural differences. The Kofun period is characterized by a Shinto culture which existed prior to the introduction of Buddhism. Politically, the leader of a powerful clan won control over much of west Honshū and the northern half of Kyūshū and eventually established the Imperial House of Japan. Kofun burial mounds on Tanegashima and two very old Shinto shrines on Yakushima suggest that these islands were the southern boundaries of the Yamato state, while its northernmost extent was as far north as Tainai in the modern Niigata Prefecture, where mounds have been excavated associated with a person with close links to the Yamato kingdom. an ancient tumulus (kofun in Japanese) located in the village of Asuka, Nara Prefecture, Japan. The tomb is believed to have been constructed some time between the 7th and early 8th centuries, but was only discovered in 1983.
. Osaka Kofun Group 大阪古墳群 .
. Otome Kanzawa Kofun　乙女寒沢古墳 . - Ootsuka 大塚 Otsuka "big mound"
. Yakushido Hall Kofun mound 薬師堂古墳 Sabae, Fukui .
. Yamanokami kofun 山の神古墳 in Japan . At the Kofun called 車塚 Kurumazuka there was a golden rooster burried among other things. Some people hear his call on the New Year's morning and they are said to be successfull later in life. The Kinkei Kofun 金鶏古墳 is said to be on Kechiyama. If people cut trees there, they will be cursed and doomed. Akazome Emon 赤染衛門 (956–1041) was a Japanese waka poet and early historian who lived in the mid-Heian period. She is a member both of the Thirty Six Elder Poetic Sages (中古三十六歌仙 Chūko Sanjūrokkasen) and the Thirty Six Female Poetic Sages (女房三十六歌仙 Nyōbō Sanjūrokkasen). Emon is thought to be the daughter of Akazome Tokimochi, but her biological father was likely her mother's first husband, Taira Kanemori. 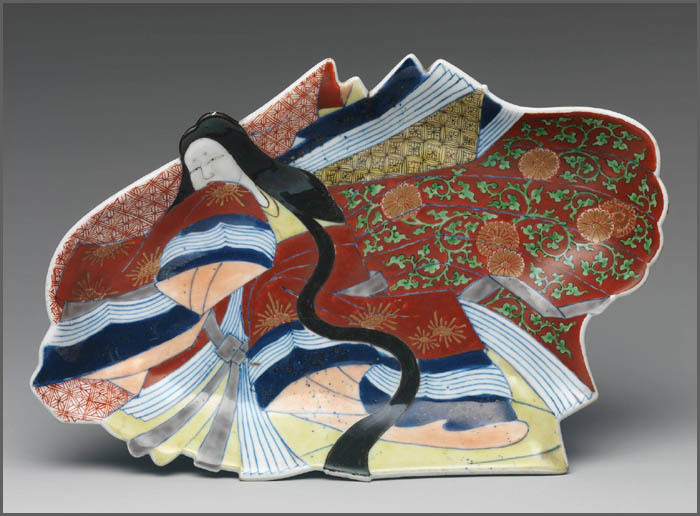 Emon was born before her mother's marriage to Tokimochi in the Akazome family. Her husband Ōe no Masahira was a famous literary scholar, and the couple were considered to be "lovebirds" (おしどり夫婦 oshidori fūfu).